From her head to her toes she was absolutely perfect; a dream for me to photograph. I love meeting new parents and creating such a special experience for them. It’s an honor, creating priceless moments that they’ll be able to enjoy for years to come. 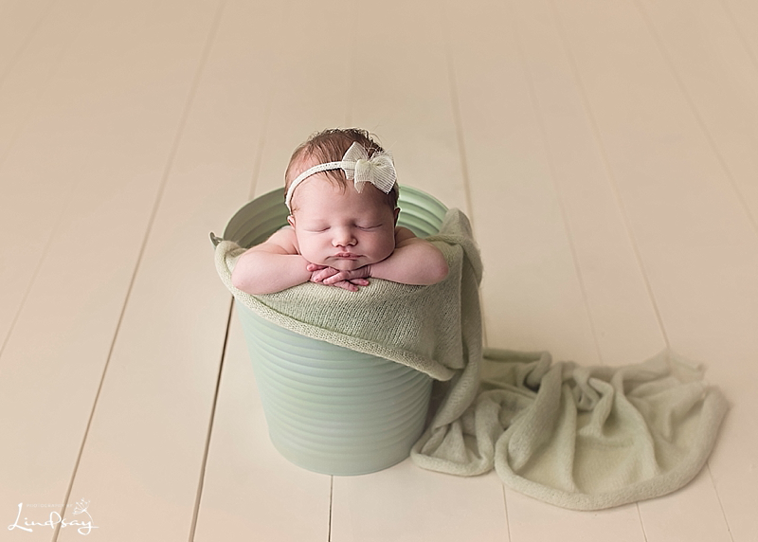 I’m often asked when is the best time to photograph newborns. My answer; when they’re around 7-10 days old. I’ve found this to be when they are usually still very sleepy. They’ve also been a part of this world for a little over a week and have gotten the hang of eating. Another questions expecting parents have is; how do they book a session since there isn’t any way of knowing exactly when their little one will arrive. While that does make it a bit tricky, what we do here at Photography by Lindsay is mark your due date on the calendar. That way I have an idea of when I can expect your call or e-mail letting me know your little one has arrived. Yes, sometimes the little ones for that month can show up all at the same time and sometimes they show up here and there throughout the month. However, once you book your due date with me, your session becomes a top priority for me and I will make sure that we get your actual session scheduled in time! I’m also often asked, if mom needs to bring in any outfits or props. The answer; not at all! I’ll let you in on a little secret here. I’m addicted to shopping for newborns. Pretty much every outfit, hair tie and prop you see on my facebook page and website belongs to me. I love putting together set-ups for newborn sessions. Picking out all of the details from the hair tie to the wrap or outfit used is one of my favorite things about the session. So, while you’re more than welcome to bring in a special item from home, it’s not at all necessary. I have more than enough…really! 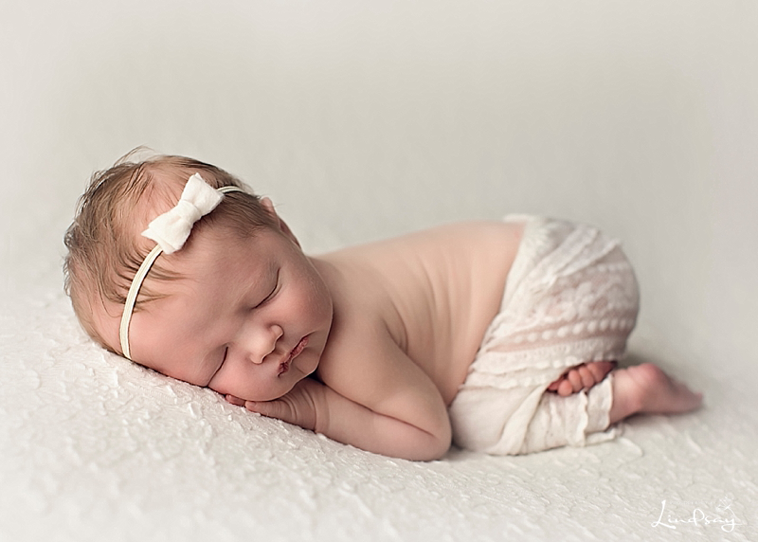 If you are interested in having professional newborn photos with Photography by Lindsay and have more questions for me, please feel free to contact me at photographybylindsay@frontier.com. I’d love to hear from you! Katie - Gahhhh!!! These images are absolutely STUNNING!! I love all the setups! And I can’t even handle the little bed. Gorgeous, GORGEOUS work! Kandi - Such amazing information to go on when getting ready to book a newbirn session. I love that there is no need to have to purchase expensive outfits. Your clients are so blessed you have everything on hand ! Beautiful work ! KRYSTAL SANDEFUR - This is great information! and beautiful images! Shannon Payne - I love the information that you shared in this post. I know parents always ask me how I schedule newborns, and this is exactly what I do as well. Your pictures are beautiful. Courtney - Great post! Full of great and much needed info! Beautiful images as well!